A couple days ago one of my horses came up suddenly lame. I hadn’t worked her especially hard recently so I wasn’t concerned about bowed tendons and upon inspection only found minimal heat around her fetlock and the top of her coronary band. I picked her hoof to see if I could find anything obvious, but again came up with nothing. It wasn’t until I took the hoof testers to her that I found a localized pain in her hoof. This is a very typical presentation of an abscess so I wanted to take this opportunity write up a description of what an abscess actually is and how to treat it. 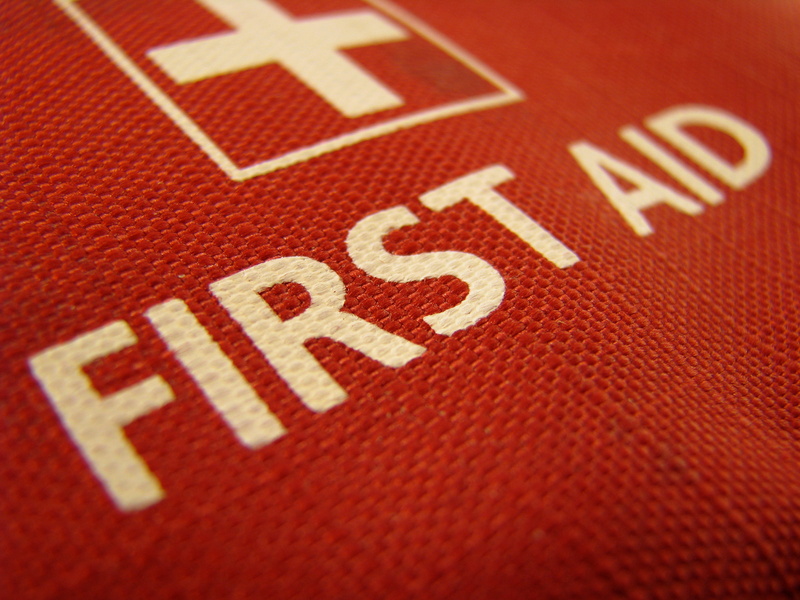 -In any part of the body, an abscess is a localized infection. 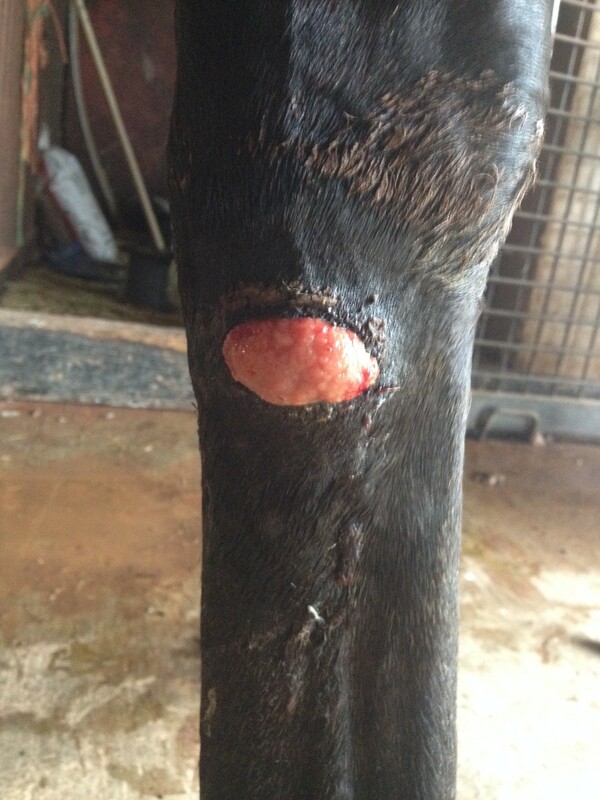 Whatever the cause of the abscess, it usually results in death of tissue within the hoof. 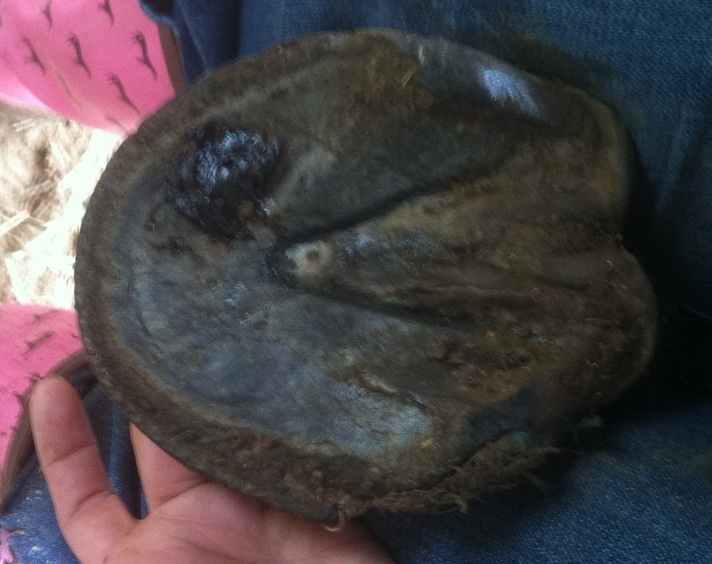 Because blood flow is restricted in the hoof, the body has no way to remove this dead tissue, causing an infection. 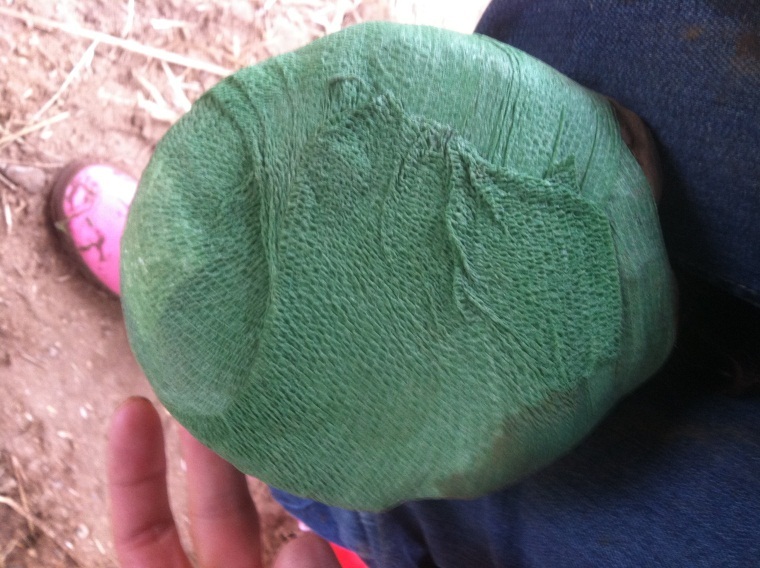 In a hoof, which is a relatively non-porous material, it builds pressure, causing pain, until it can find an escape. -Any damage to the hoof can cause an abscess. 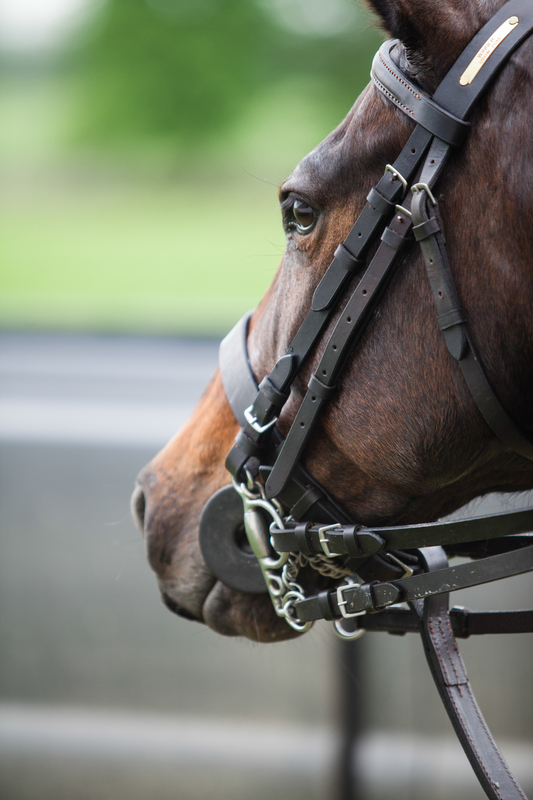 A puncture by a nail or sharp stone, a shoe nail that quicks the horse, or even a simple bruise can cause enough damage to create an abscess. This happens a lot when a horse goes from being shod to barefoot so, in the fall, when we turn out horses out make sure to keep an eye on them for a least the last couple weeks to make sure they handle the transition well. If you suspect your horse stepped on a nail, call your vet immediately. Radiographs will have to be taken to make sure the nail did not reach the coffin bone, or the bursa around it. How do I treat an abscess?? 1. 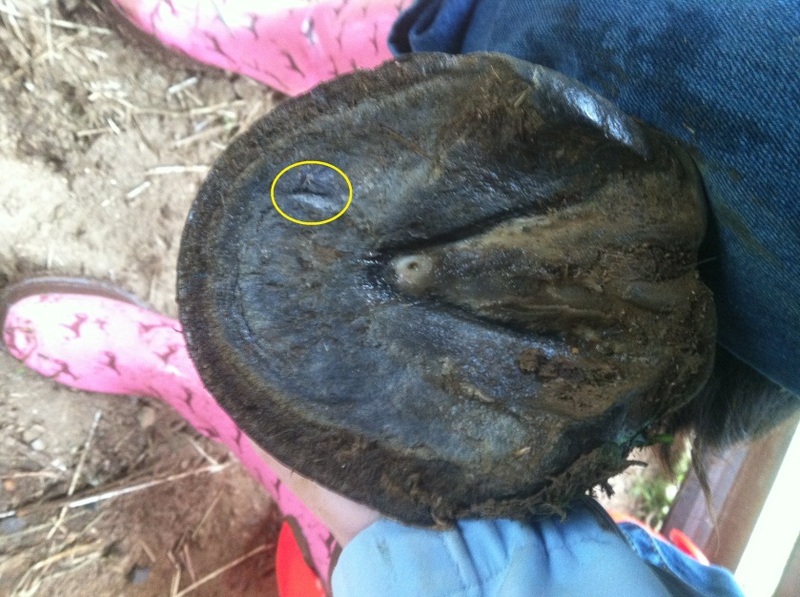 To release the pressure and make your horse more comfortable, a farrier or vet may dig out a hole in the bottom of the hoof, allowing the infection to drain. If this does not happen it will find the path of least resistance and you risk the abscess making its way upwards and bursting out of the coronary band. This is a much nastier wound and much harder to keep clean and heal correctly. 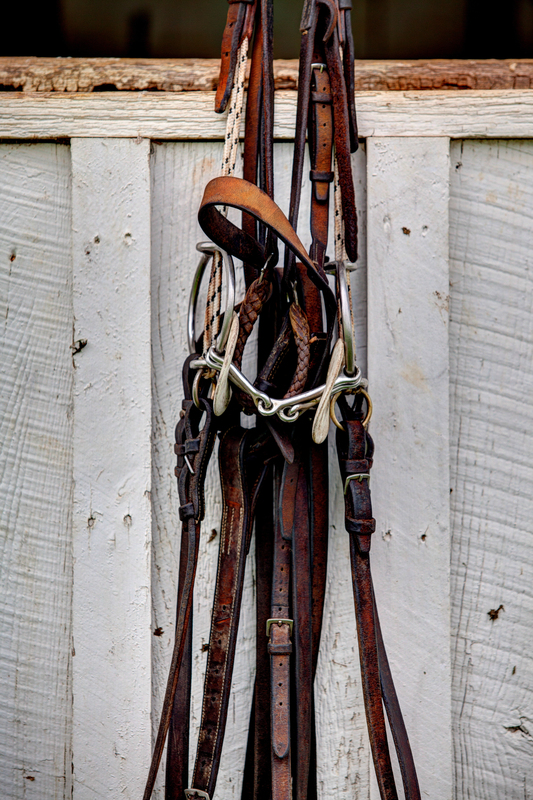 If a hole cannot be made, they may recommend a series of soaking the hoof in a mixture of hot water and Epsom salts to soften the bottom of the hoof. If your horse does not stand too well with his hoof in a bucket or feet bin, a hoof boot may make this easier on both of you. 2. 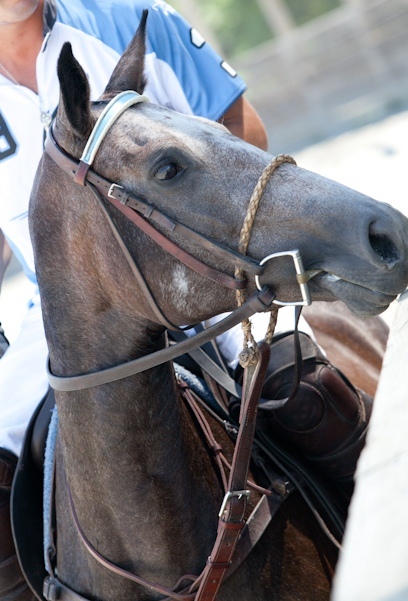 After a hole has been opened, your vet may recommend soaking the hoof in a mixture of Epsom salts and water. Others have recommended even a mixture of water and chamomile tea, or water and apple cider vinegar. 3. It should be cleaned thoroughly with a mild disinfectant like betadine. Then a drawing agent such as ichthammol or an Epsom salt paste can be applied, covered by sterile gauze pads. 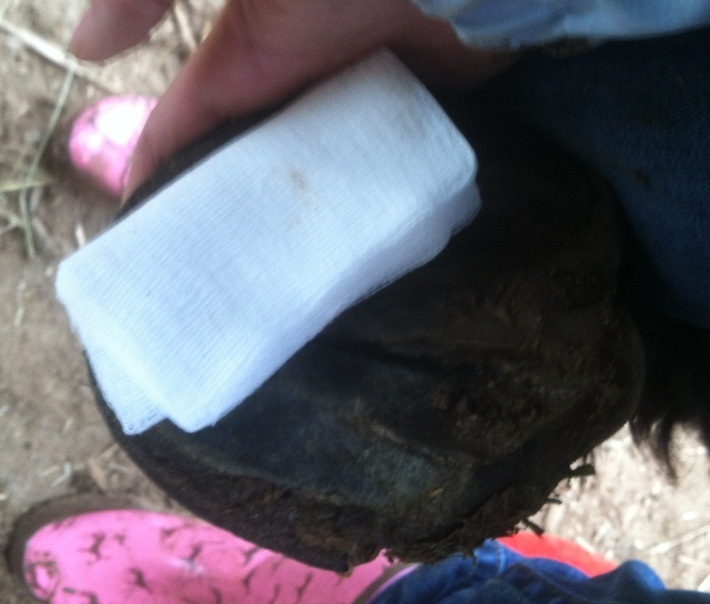 Wrap the foot with vet wrap, covered by elasticon or duct tape. Be careful not to cover the coronary band as this can restrict blood flow and cause more damage. Allow your horse turn out. The sole and frog of the hoof act as a cushion and the regular pressure of walking will help circulate fluid in the hoof. If the infection is large enough, your vet may recommend daily injections of antibiotics. This will simply help the horse’s body fight the infection. If the abscessed was caused by a shoe nail, removal of the shoe may be enough to release the pressure. 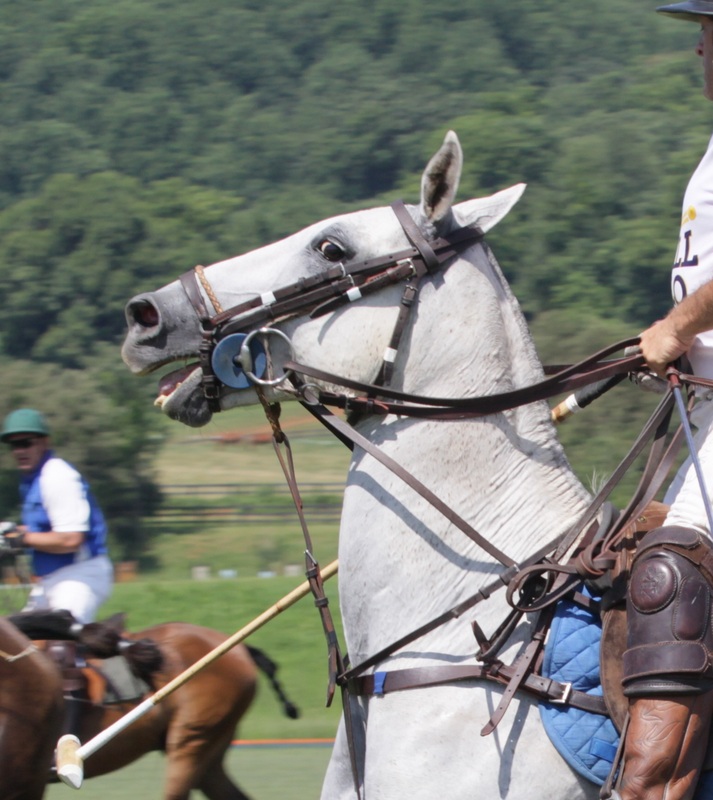 While painful to the horse, abscesses are usually the best diagnosis your vet can give you. 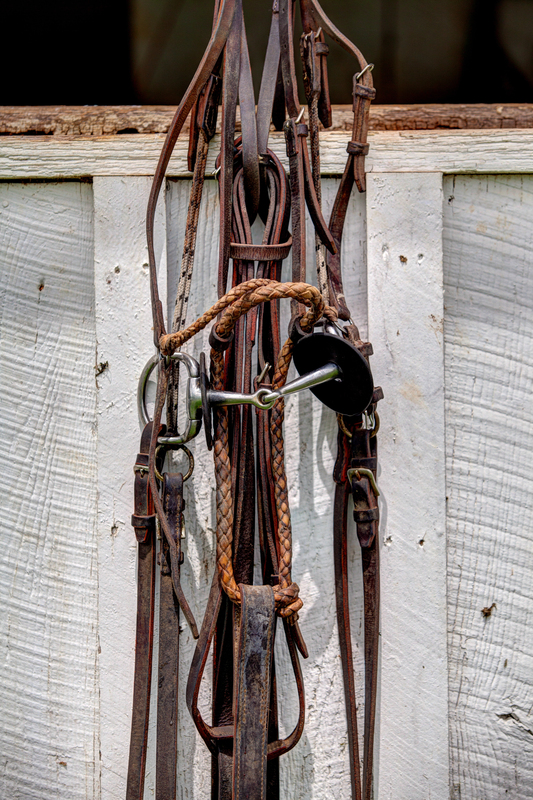 Depending on the severity, your horse may only be off for a couple of days to a week. 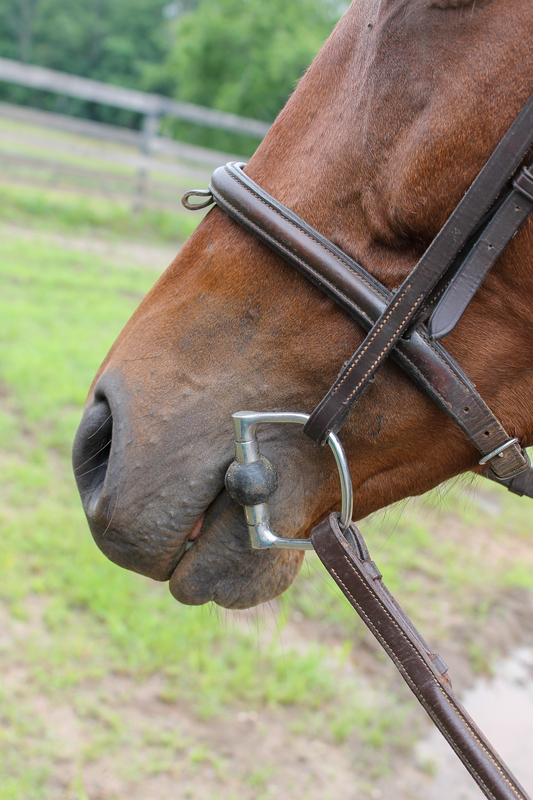 If you have any great abscess stories or remedies or any questions, please feel free to comment below!